"Data Collection You Can Count On!" 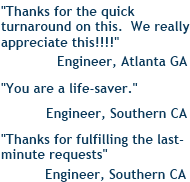 With over 30 years of excellence NDS has earned it’s clients trust by always delivering Superior Traffic Data in a Cost-Efficient Timely Manner. 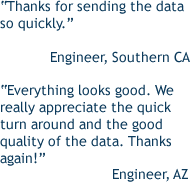 With a vast range of data collection services NDS consistently exceeds expectations in both data quality and Technological Advancements. 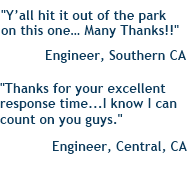 Our firm is totally committed to customer service. 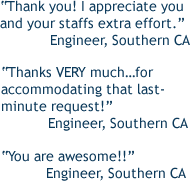 We have and always will do everything in our power to satisfy our customers! 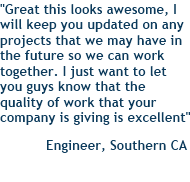 DISCLAIMER - NDS is not an engineering firm and does not provide services that require a professional license. 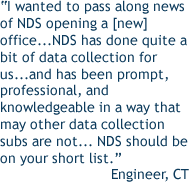 NDS is strictly a data collection and data analysis firm. Philadelphia is our next stop! 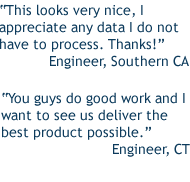 NDS has developed an extensive traffic study database, offering our clients historical data at cost efficient prices. Founded in 1989, National Data & Surveying Services (NDS) leads the industry as the largest traffic data collection firm in the country. 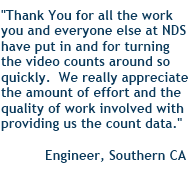 NDS provides a vast range of cost-effective data collection services that consistently exceed expectations in both data quality and technological advancements.